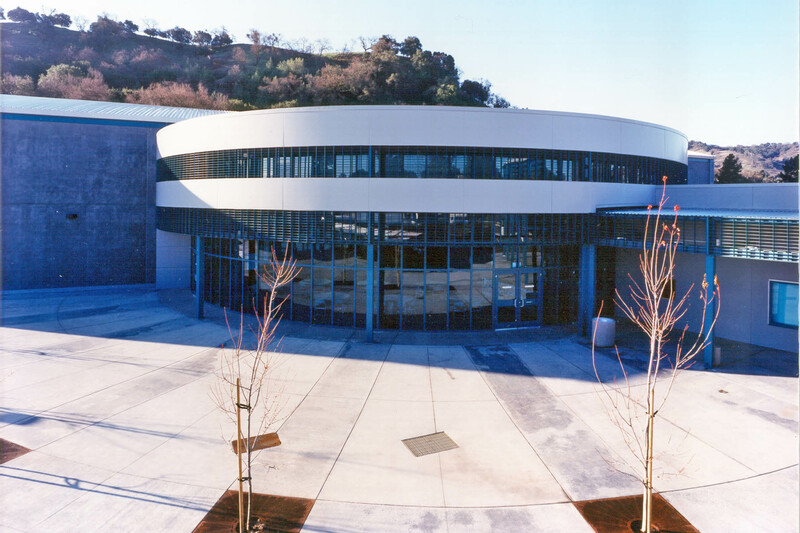 This project consists of a 29,000 square foot, single-story gymnasium and fitness center that will be developed to share parking and an outdoor plaza area with the adjacent Jewish Community Center. 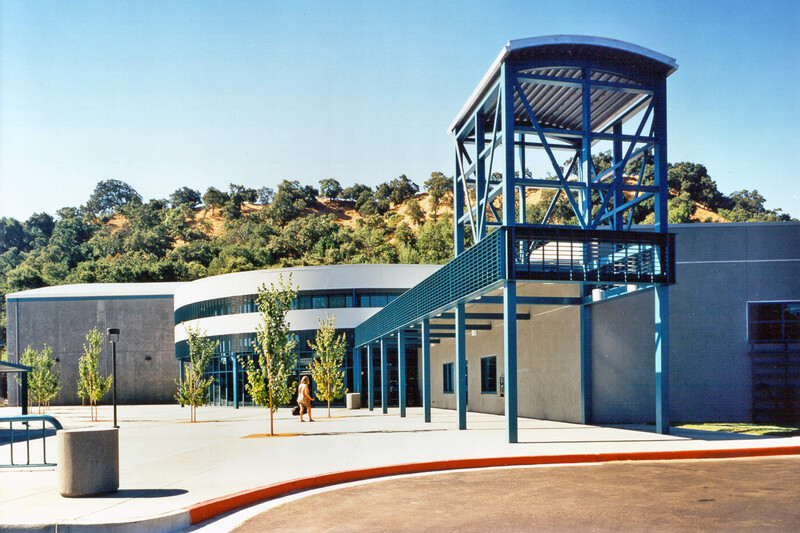 The construction type and materials are tilt-up concrete walls with glass, aluminum wall panels and sunscreens, metal roof panels and translucent wall panels which provide natural light into the gymnasium. 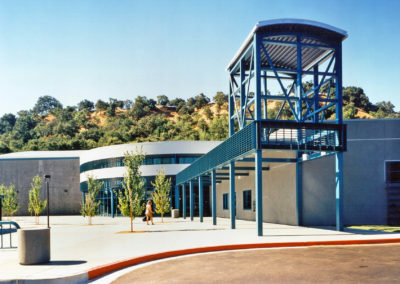 The facility includes a gymnasium, aerobics studio, multi-purpose classroom, administrative office, staff workroom, reception area, lobby and restroom/changing facilities. 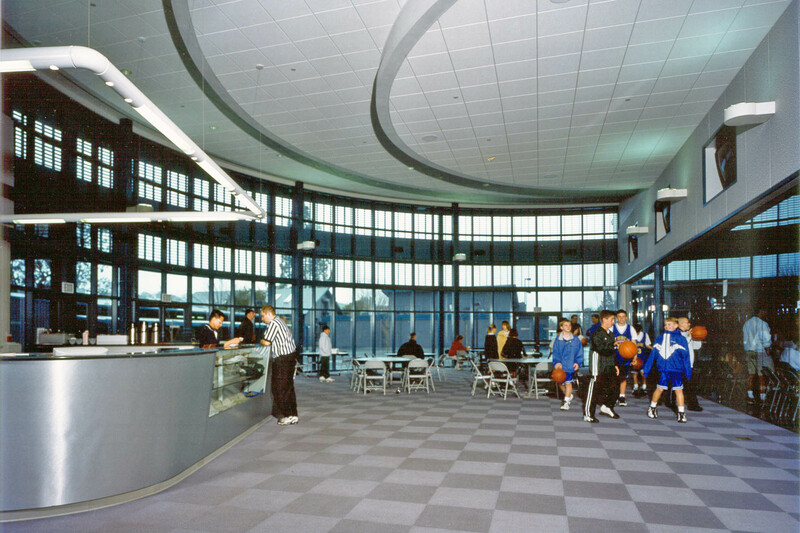 The lobby includes a large glass wall that looks into the gymnasium providing direct views into the gymnasium activities. 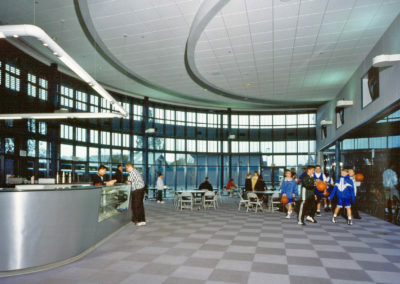 A cafe style arrangement of tables and chairs provides casual seating and large video monitors provide additional entertainment. 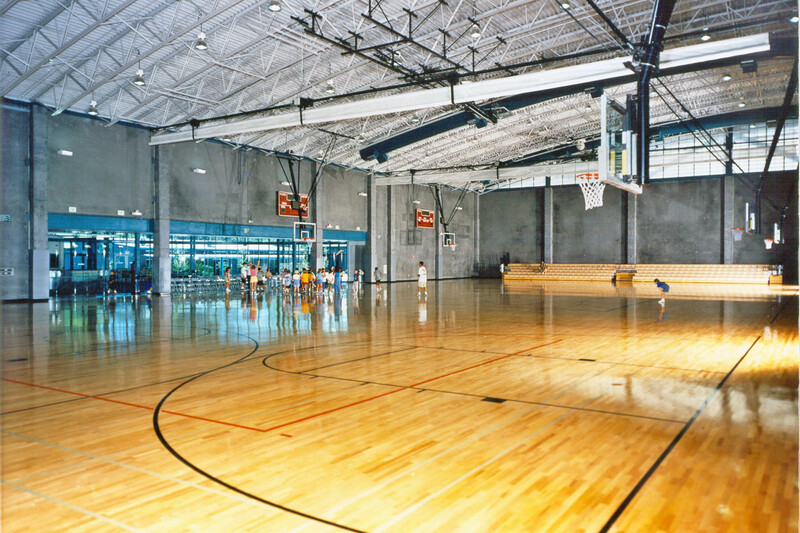 The gymnasium includes three 50′ x 84′ cross court basketball courts and one 50′ x 94′ feature court. 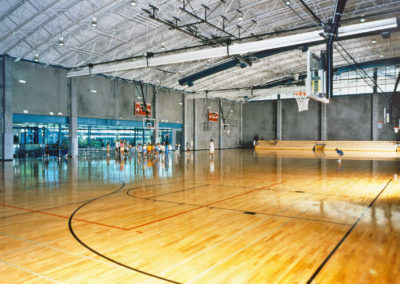 Bleacher seating, benches and a recessed seating alcove provide seating for spectators and players. 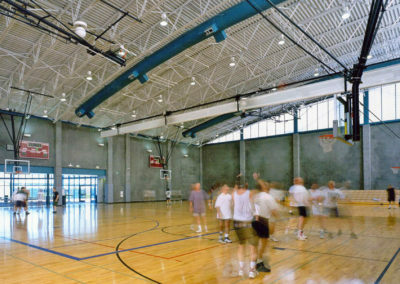 The gymnasium can be divided into three separate areas with ceiling hung, retractable divider curtains. 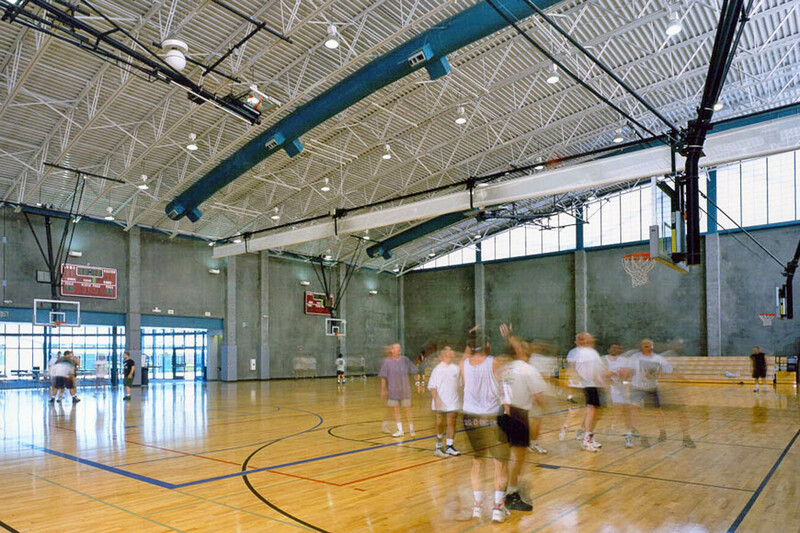 The gymnasium also provides for volleyball, badminton and indoor soccer. 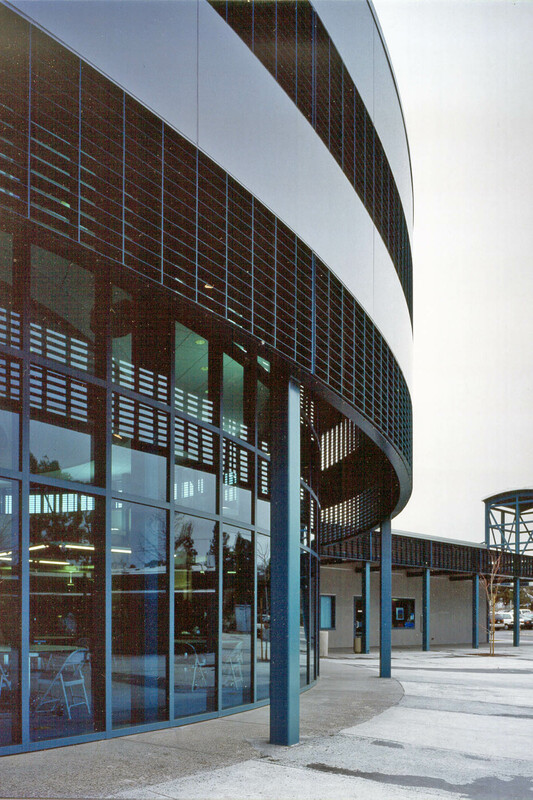 This project was developed with functionality as a prime determinant within tight budget constraints and an accelerated schedule for design and construction. 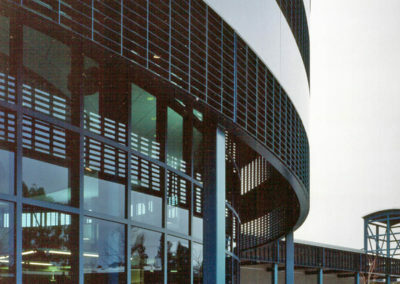 This project was done as an association with GLASS ARCHITECTS and RDS Architects. 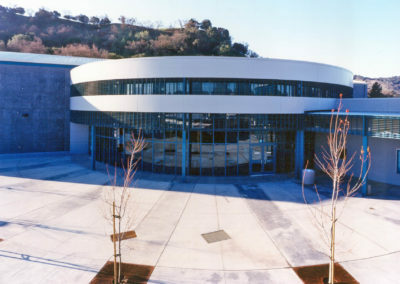 GLASS ARCHITECTS designed the building and RDS Architects completed Construction Documents and Construction Administration.